1963. Just as the Beatles and the Stones were threatening to leave an indelible mark on British popular culture and long before anyone had heard of either Pink Floyd or David Bowie. Before Ed Sheeran even, Eric Claption began his career in music. What has followed has been a rock-steady monument to understatement. So often the quiet man, Clapton earned the sobriquet 'Slowhand' while briefly a blues guitarist with John Mayall. That followed a spell with The Yardbirds (he played on For Your Love) and predated his union with Jack Bruce and Ginger Baker in Cream. A so-called supergroup, Cream did not possess any specific superhuman powers (that we have been made aware of) but they did have an uncanny knack for atmospheric anthemic blues rock - I Feel Free, Badge and the epic Sunshine of Your Love alone are testament to Clapton's stellar contribution to music. But then, of course, he went 'solo', racking up hits under his own name and with his band Derek and the Dominos. There's Layla (especially Part II), Lay Down Sally, Cocaine and versions of I Shot the Sherriff and Swing Low Sweet Chariot. There's more, much more. Wonderful Tonight and Tears In Heaven (the latter written in tribute to his late son Conor, the former for his (now ex-) wife Patti Boyd) may have lacked the sexual thrum of Cocaine but were still notable successes for a man who has continued to change with the times and adjust to the zeitgeist. His 20th solo studio record, titled simply Clapton, was released two years ago - it reached the Top Ten here and in the US. Not bad, 47 years into his career. The short but eye-catching tour kicks off at the LG Arena in Birmingham on 13th May, followed by a Manchester Arena date the following night. 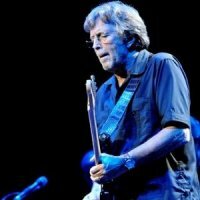 After that, Clapton repairs to London for a five-night residency at the Royal Albert Hall, between 17th and 23rd May 2013. We will have tickets available from 9am on Friday 21st September 2012. It's Eric Clapton. Tickets will sell like, er, hot Cream.